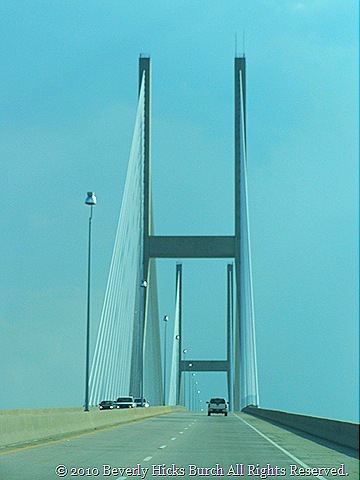 The pictures of the day are of The Jekyll Island Bridge. 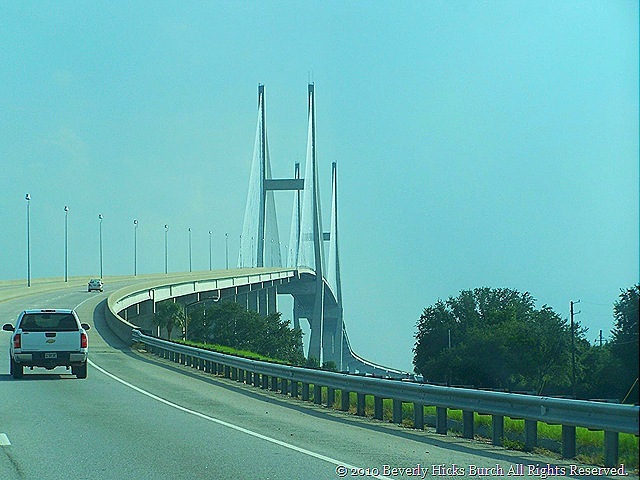 I believe this bridge was constructed to replace a much older bridge on US 17. 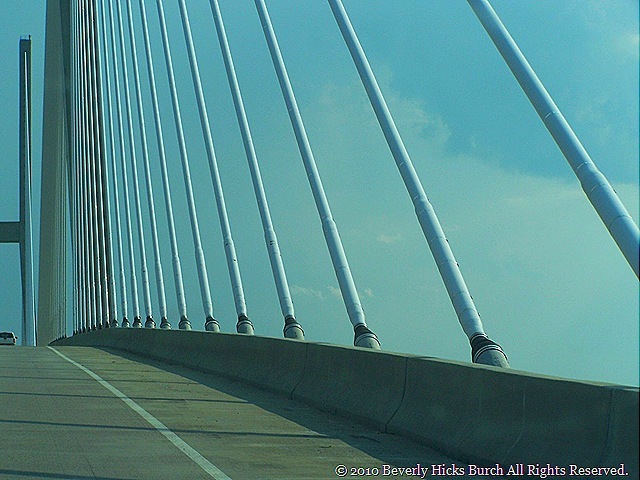 It’s a suspension bridge and looms on the horizon from many viewpoints on St. Simons Island and parts of Brunswick. Saturday after attending to some business, Tall & Handsome and I had a few spare hours and decided to take the time to drive over to Jekyll Island. We knew it would be a quick visit this time because it was late in the afternoon. We just wanted and needed something to fill our time. Seems like 9/11 was hard on everyone this year. Are we tense because of the state of turmoil, decay and unease we see in our country currently? Or are we walking around in anticipation…almost collectively holding our breath as a nation pensively waiting to see if terrorist threats are made real? Regardless, what better way to assuage the mind than with Nature’s beauty? Great pictures! They made me feel like I traveled to this bridge.